This homemade mayo is given a serious kick from smoked bacon - perfect with delicate artichokes, when in season. 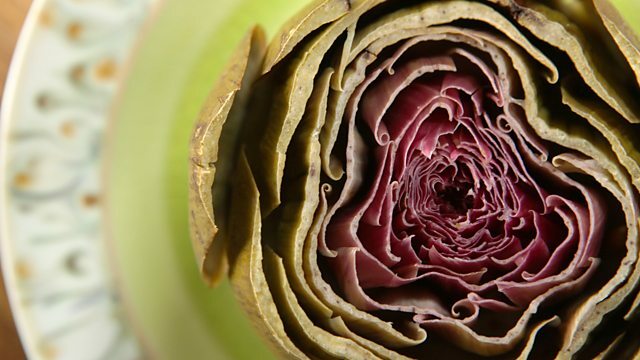 For the artichokes, remove the tough outer leaves from the artichokes and cut off the stalks and the top. Using a sharp knife, trim off any green, tough parts, discarding everything except the tender leaves and stem. 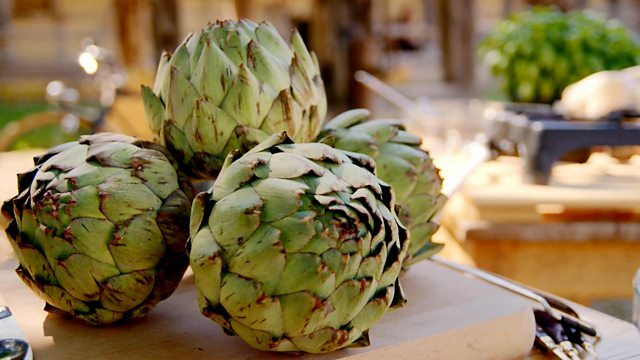 Rub each artichoke with the cut side of one of the lemon halves to stop the flesh from discolouring. Set aside in a bowl of water. Repeat the process with the remaining artichokes. Squeeze the juice from the lemons into a large saucepan. Add a pinch of salt, the flour and the artichokes. Fill the pan with enough cold water to cover the artichokes. Bring the water to the boil, then reduce the heat until the water is simmering and continue to simmer for 15 minutes, or until the artichokes are tender when pierced with a sharp knife. The flour will rise to the surface of the water to create a crust - this will prevent the artichokes from discolouring during cooking. Meanwhile, for the mayonnaise, fry the bacon in a frying pan over a high heat until the fat has melted and the meat is crisp. Set the pan aside to cool. Blend the egg yolks and mustard in a food processor until pale and creamy. 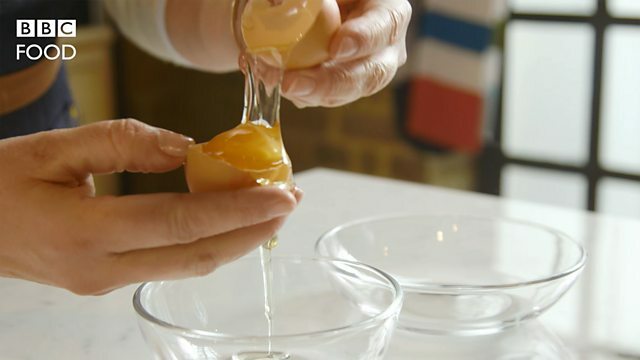 With the motor still running, gradually add the rapeseed oil in a thin stream, until the mixture thickens to a mayonnaise (you may not need to add all of the oil). Gradually add the melted fat from the bacon pan to the mayonnaise, drop by drop. Add the fried bacon and pulse the food processor until it has been incorporated into the mayonnaise. Season the mayonnaise with salt and freshly ground black pepper. When the artichokes have cooked, remove them from the pan and drain on kitchen paper. Serve the artichokes with a dollop of the mayonnaise.